Serving over half of the world's nuclear fleets, ABB has set the standard in implementing proven solutions in complex, critical systems where failure is not an option. 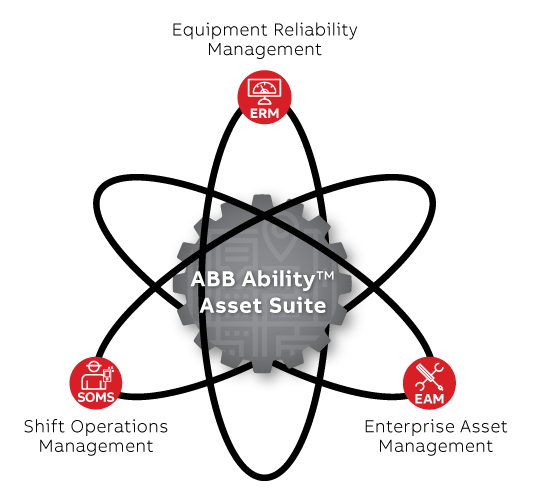 ABB Ability Asset Suite is a comprehensive solution for the power generation industry that unifies world-class functionality for enterprise asset management (EAM), equipment reliability management (ERM) and shift operations management (SOMS). As a trusted partner with deep industry expertise, ABB works closely with our customers to provide integrated power and automation solutions to improve asset availability and performance, and reduce operation and maintenance costs.